I seem to have been interested in British model railroading for as long as I can remember. And, this interest has led me to read model railroad magazines from many other countries over the years. These magazines often give me inspiration, and a fresh look at the hobby. 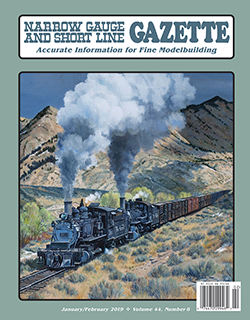 So, I want to share some of these magazines here – just in case you too might want a dash of freshness in your railroad interests. But, first a little history. When I was discharged from the U.S. Navy in 1957, and was in graduate school, I decided to begin modeling British prototypes. Maybe it was the look of the quaint four-wheel wagons and vans, the crimson-painted locomotives, or that wonderfully green island they ran through. 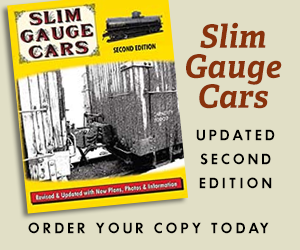 So, I subscribed to a few magazines, ordered some 7mm scale (O gauge) spoked wheels, buffers, axle guards (pedestals), and three-link couplers – and got to work, The result was an O gauge “brake van” (caboose), and 10 four-wheel wagons and vans. 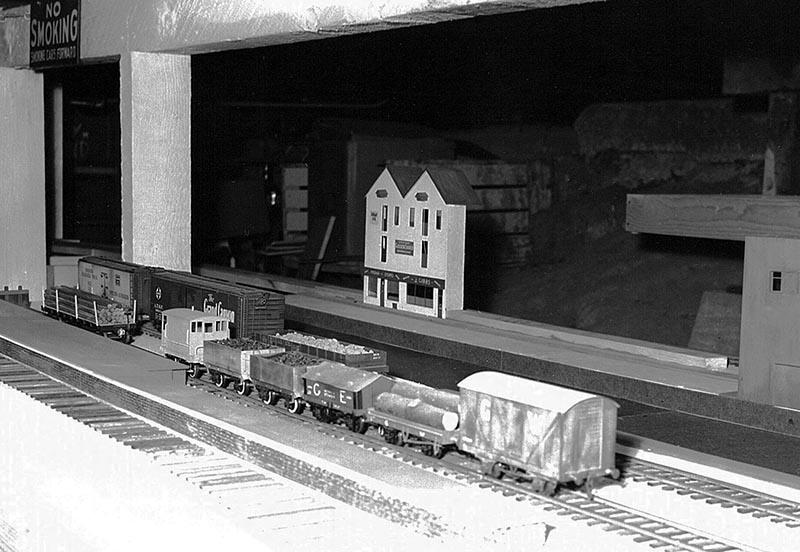 I never got around to a locomotive, but I did start a layout in the cave-like basement of our first home. I modeled a canal-side railroad; and two building fronts, following plans in John Ahern’s book about building structures. The photo here shows this layout with its wagons and vans. However, through a chance encounter at my local hobby shop, I learned of Cliff Grandt’s monthly meetings at his home, across San Francisco Bay from Irene and I, and joined in. There, I met many well-known narrow gaugers, including besides Cliff, Steve Polkinghorn, and Russ Simpson, to name only three. These meetings led me to go into On3, and my wagons and vans went into a little showcase. I recently looked at them, and was surprised at how nice they looked.